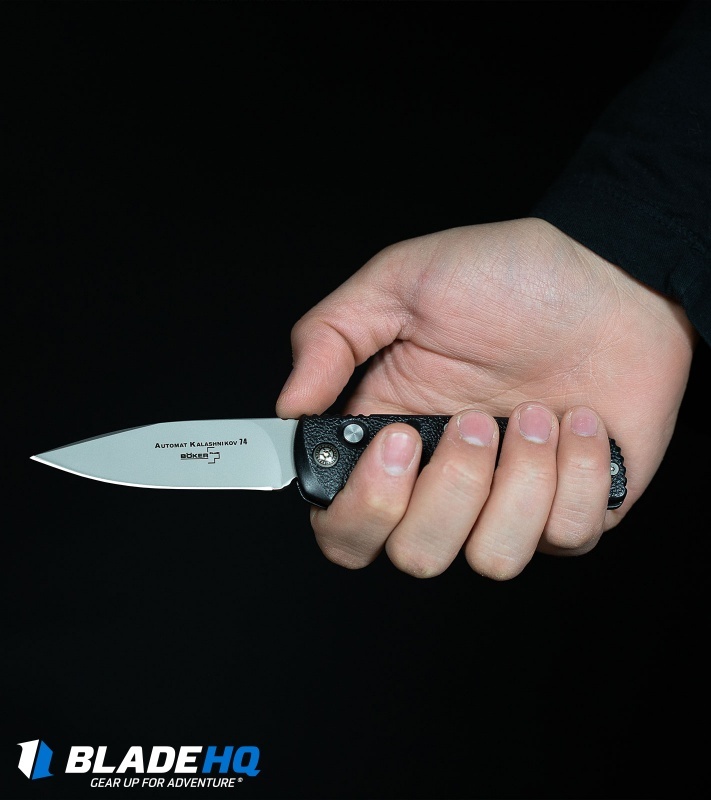 The Boker Plus Automatic Kalashnikov Knife features a black aluminum handle with molded finger grips. The design is thin, elegant and comfortable. 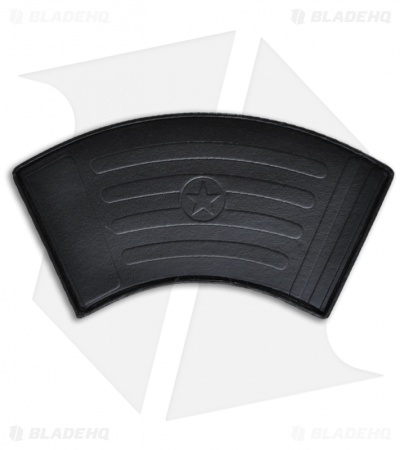 The blade is AUS-8 steel and black teflon coated (partially serrated). The action of this knife is first rate and comparable to that of the Boker Magnum series. 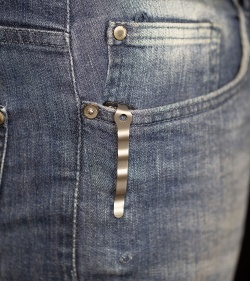 The firing button is now flush with the handle to help prevent accidental opening. Just got this morn. Seems like good quality esp. 4 the price. Pretty decent sharpness out of the box,No blade wobble at all & Nice & tight.Spring action seem top notch great snap to it.Bought as a EDC / lot use think partially serrated blade way to go 4 this use.Seems like Great knife 4 the money. 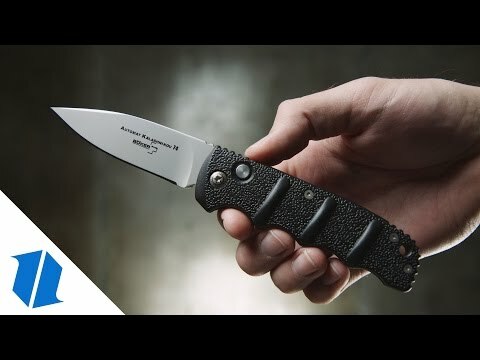 You get your money's worth with this knife. I've had mine for 8 month. I carry it everyday. I use it constantly at work. I also use it to open my beers. 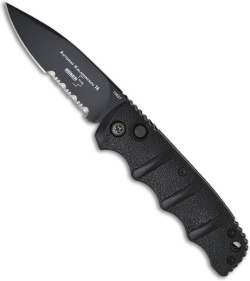 For $40 price tag it's gonna be hard to find a better auto knife. Also all of the screws and clip have stayed tight this entire time, which has been a problem with just about every other knife I've owned. I'm honestly not sure how to feel about the Kalashnikov. Its a nice little inexpensive nice. It sharpens up really nice, its snappy, its compact and I do like the clip. 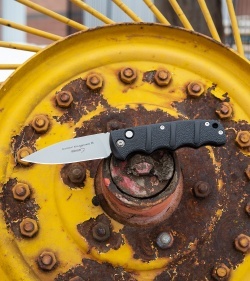 I'd honestly give this thing a 4/5 if it wasn't for the fact that Boker themselves will not honor any warranty on it. I don't know if I can buy a product from a company that will not stand behind it. 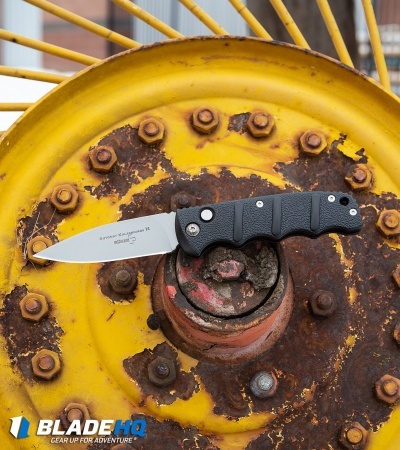 Other than that, and to be completely fair, its a great knife for the price and if you did break it you could buy another one for $40ish and be happy with a replacement. 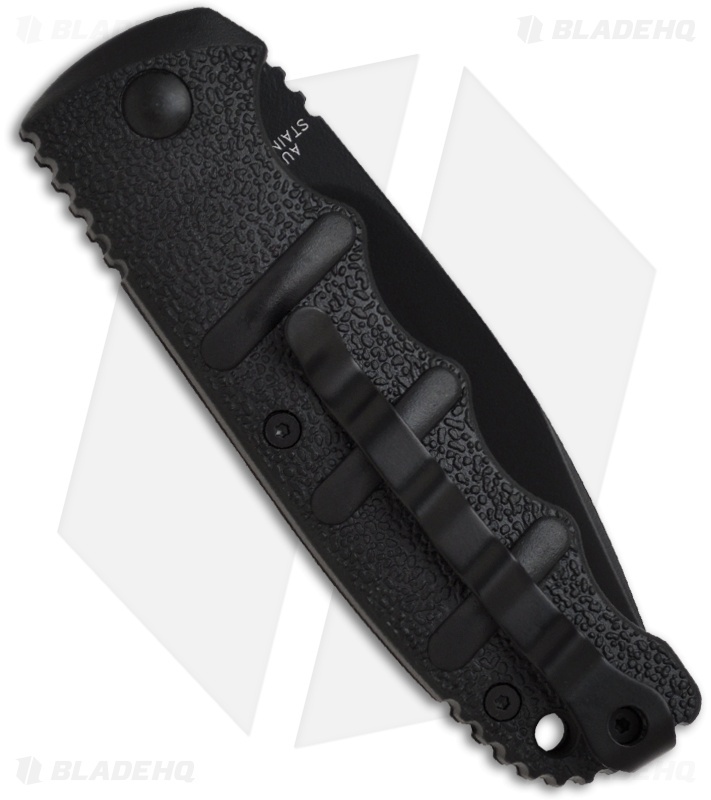 Purchased this for myself as an EDC. 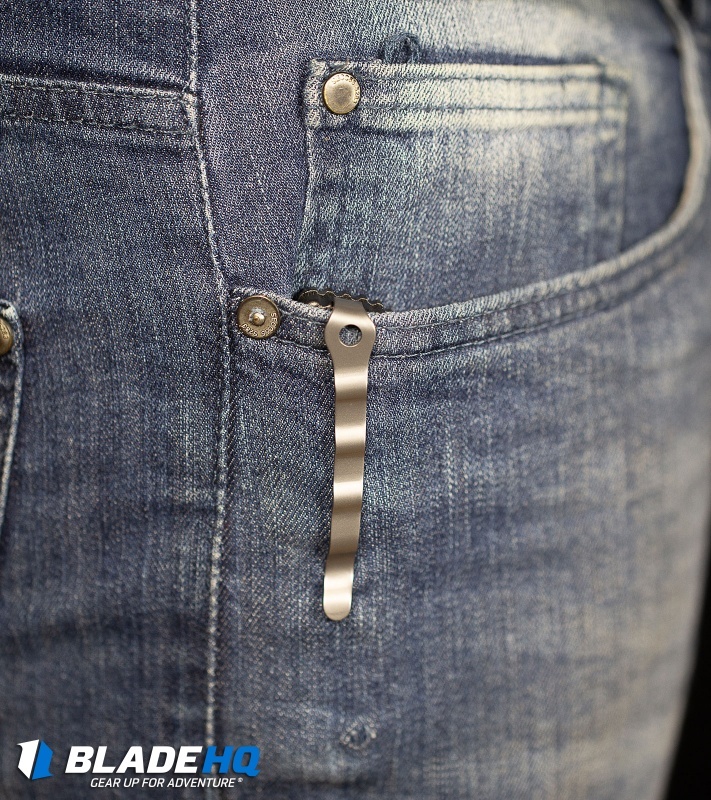 The release button is not the smoothest and the steel is the of average quality. I've given this knife a beating and it has held up well. Great value for the money. Ordered two of these Loved the Kalishnikokov Idea and the AK 47 Box. Unfortunately, the quality of these knives aren't even worth the Sale Price. Both Knives were received with bad push button mechanisms. One Blade was sticky opening and the other would not open. The one that did the Blade was Dull. I can see why they were on Sale. Very Disappointing purchase and will be returning. 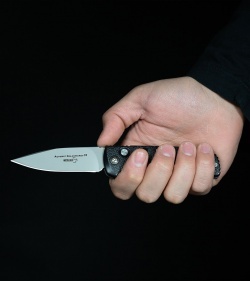 Well made little automatic knife. You can't beat the price. Great blade and great auto action. Highly recommend if you're just wanting something inexpensive to get into the auto knives.